With WWDC 2018 coming up sooner rather than later, many are wondering what sort of announcements we’ll see regarding Apple’s many product lines. We’ve compiled some rumors and speculation about what might be present at this momentous event. Perhaps the first thing on everyone’s mind for WWDC 2018 is iOS 12. With the release of iOS 11.3, we saw the introduction of a number of new features that made the phone a better user experience overall – most notable of these fixes being the Battery Management feature that allows users to turn off throttling on older devices. For big changes, however, we have to look to main releases like the launch of upcoming operating system iOS 12. We expect to receive some new information about iOS 12 at WWDC 2018, and a launch should be happening shortly thereafter. While iOS 11.4 may be an upcoming update, we anticipate that there weren’t be too many more firmware releases after that before we see a brand new operating system. As for what exactly we can expect from iOS 12 at WWDC 2018, there’s currently not a lot of information floating around the web. We can likely expect more integration between iOS and MacOS when it comes to Apps, as well as the introduction of AirPlay 2 – a feature that was cut from iOS 11.3 at the last minute. Other potential iOS 12 announcements include a digital health tool with parental controls, updates to Siri, and over 100 new emojis. Apple TV isn’t the most talked about when it comes to Apple products and doesn’t enjoy the same popularity as iOS or macOS, but a significant amount of people – especially those tied into the Apple ecosystem – make use of the Apple TV. We expect at least some sort of announcement regarding tvOS 12 to be made at WWDC 2018, although what exactly that is is anyone’s guess. Potential announcements include a rollout of original programming onto tvOS 12 from the company in an effort to drive more sales of the devices, as well as further integration with Apple HomeKit to allow for increased smarthome functionality. Having the ability to integrate tvOS 12 seamlessly with the rest of your home will be a welcome addition, indeed. 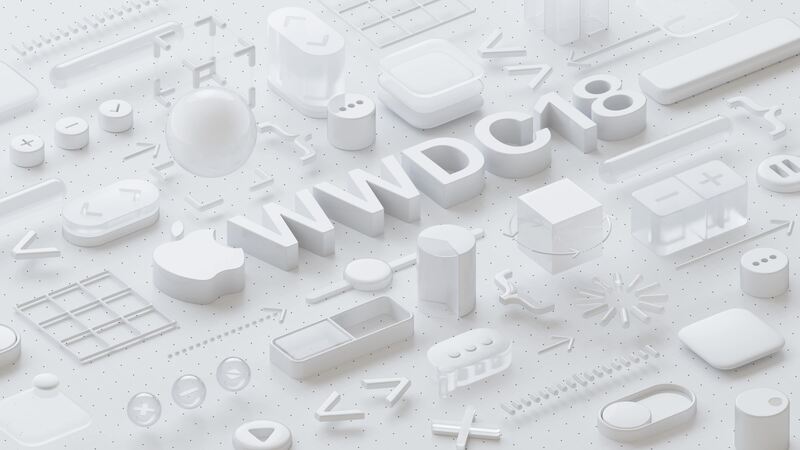 While we don’t expect anything groundbreaking to be announced for tvOS 12, it’s likely that there’s at least something in the pipeline that will be announced at WWDC 2018. Perhaps the most exciting announcement outside of those regarding the iOS system are upcoming reveals of macOS 10.14. We’ve already received confirmation that macOS 10.14 is in development at the Apple headquarters, but the company has generally been pretty quiet when it comes to announcements about what exactly mac users can expect from the upcoming update. As mentioned above, one major update that we could see with the release of macOS 10.14 is the improvement of cross-platform App functionality between iOS and macOS. As Apple continues to maintain a tight control over their ecosystem, they are making great strides towards making their products a more cohesive experience – despite the fact that there is already a good amount of integration across platforms. The introduction of increased app functionality should make it easy to seamlessly transfer from your phone to your computer (or vice versa) when the need arises. Outside of that, we should see a bevy of performance improvements, bug fixes, and other system updates that make macOS 10.14 the best Mac operating system to date. As far as the name of the operating system goes, Apple has trademarked a number of California-based landmarks, even going so far as to copyright the names Condor, Grizzly, and Redtail, so it’s possible we could see a system named after an animal rather than a place. The full list of possible names that have been reserved thus far includes Redwood, Mammoth, California, Big Sur, Pacific, Diablo, Miramar, Rincon, Redtail, Condor, Grizzly, Farallon, Tiburon, Monterey, Skyline, Shasta, Mojave, Sequoia, Ventura, and Sonoma. There are bound to be more announcements regarding the system update at WWDC 2018, but until the conference, this is the best we have to go off of. The last, but certainly not the least, of the announcements we should see will be in regards to watchOS 5. While the Apple Watch struggled to get off the ground when it was first announced due to some marketing snafus, the brand has certainly established itself as the go-to device when in the market for a fitness wearable. Apple has arrived at a good formula with watchOS 4 and we’ve only had a few months to play around with it, but we expect an announcement of watchOS 5 at WWDC 2018. Based off of past release announcements, it’s almost guaranteed that we’ll see some sort of watchOS 5 announcement at this event. We expect that it will be announced in June with a release sometime in September 2018. There isn’t too much to go off of as far as rumors go, but there is some news that Spotify may finally make an appearance on watchOS 5 – a welcome addition that may allow users to exercise more control over the type of music streaming service they listen to while on the go. This may actually lead to more sales for Apple that will likely outpace the lost revenue from fewer Apple music subscriptions, as there is definitely a big crowd that is loyal to Spotify and listening to music is a big part of the appeal of this wearable. Other rumors include the addition of FaceID for watchOS 5 (although that is far from confirmed) as well as support for different watch faces and improved settings.